If you have been keeping up with C-U Blogfidential this summer, then you probably saw our post two weeks ago about the very first media writer of note from downstate Illinois, Vachel Lindsay, and the landmark book he had published in 1915 about the nascent Hollywood cinema of his time. We neglected to point out a source where you could partake in his uniquely thought-out notions of what society and the motion picture were and could become, so click here for a selection of digital facsimiles by the Getty Research Institute of Los Angeles, CA, that can be downloaded for free to satisfy your curiosity. However, those interested in contemporary views of television, film, and pop culture might instead look for the recent publications with local ties that we describe below to possibly fill your seasonal reading needs! 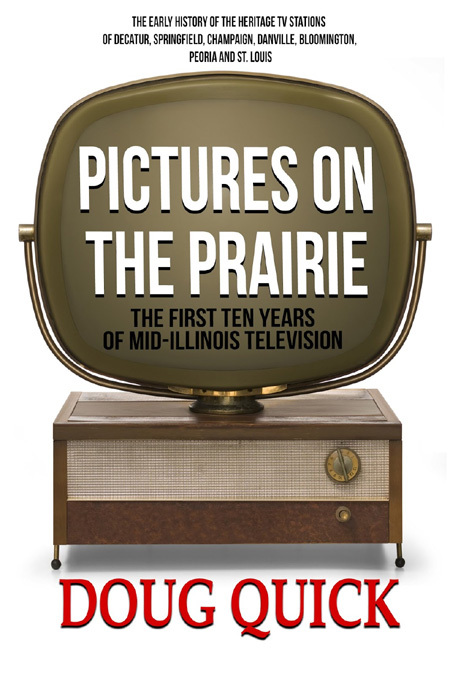 We somehow missed the wintertime release of Pictures on the Prairie: The First Ten Years of Mid-Illinois Television by Doug Quick through the Danville-based imprint, Founders House Publishing. Quick, a veteran anchor on both radio and small-screen airwaves who has provided weather coverage at WICD-TV in Champaign for more than two decades, derived the material in his book from stories and ephemera dating back to 1953 that have been posted on his official Web site; stations incorporated into the history hail from Champaign, Danville, Bloomington, Peoria, Springfield, and Decatur. We know Pictures on the Prairie is available at Jane Addams Bookshop in downtown Champaign since he did a signing there back on April 29, but you can also pick up the print-only release from Founders House directly. Elsewhere, the celebration is ongoing for the 100th anniversary of the University of Illinois Press, a highly prolific branch of its namesake with a host of academic and cultural volumes and journals to offer. While their spring semester activities are obviously in the books, including events at the Art Theater that connected screenings of WENDY AND LUCY and the original SUSPIRIA to entries in their “Contemporary Film Directors” series, UIP will continue their outreach to the public by tabling every Saturday morning in July at the outdoor Market on the Square at Illinois and Vine streets in downtown Urbana. You can also take your chances at the Illini Union Bookstore to see what UIP releases might line their shelves or leaf through a remarkably sizeable cinema and media catalog on their Web site; we could not help but notice a brand-new interview with Gary Westfahl about his upcoming UIP book on the science-fiction author Arthur C. Clarke because, you know, tangents and timing. 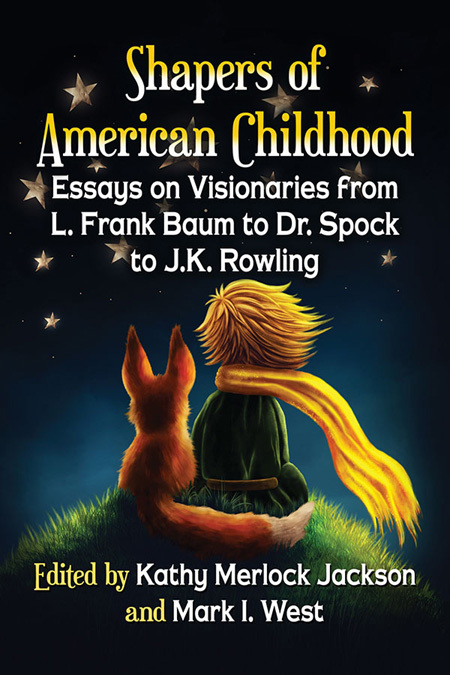 And then we have James Plath, English department chair and professor at Illinois Wesleyan University in Bloomington, whose essay on Walt Disney will appear in the book Shapers of American Childhood edited by Kathy Merlock Jackson and Mark I. 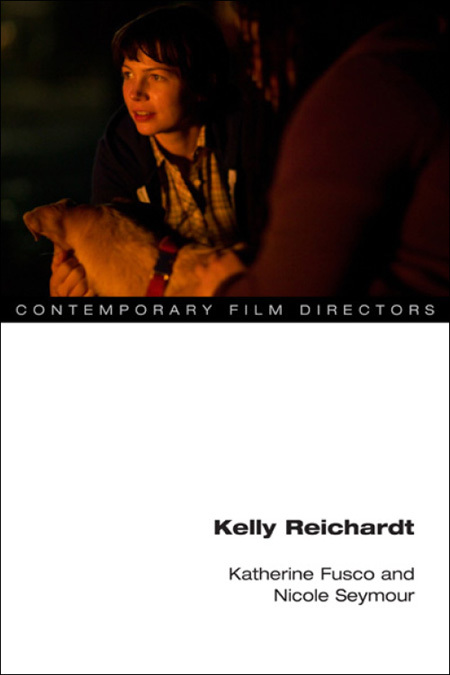 West, which is forthcoming from McFarland Publishing at the end of August. Alongside his own epic literary pursuits that have focused on such American stalwarts as John Updike and Ernest Hemingway, Plath has quietly turned out movie reviews and articles for various entertainment Web sites the past two decades – current forums for film writing include PopMatters and his own Weblog, Family Home Theater – so it is no surprise to see his contribution appear in this new volume, which “explores individuals in literature, media, health, business, and other areas who impacted childhood in the 20th and 21st centuries” from household names to achievers out of the public eye. As you check out the details on the aforementioned publications, we’d like to reference the opening essay to our Vachel Lindsay retrospective in C-U Confidential #9 where we talked about making the effort to better curate the non-screenplay film writers of Champaign-Urbana and our immediate region. We have to wonder sometimes who is creating the good work out there in our communities other than the ones identified regularly in our newspapers and Web sites via bylines. (We know you’re out there. We can feel you.) In the meantime, we still intend to add to your pile of literary perusals at the beginning of the UIUC fall semester with C-U Confidential #10. We’ve been lagging on it but not for much longer! p.s. Remember this? Your humble editor will be heading back into Quentin Tarantino territory with author Andrew J. Rausch later this year. We’ll scoop it when it’s ready for a reveal! p.s.2 You must remember this – your humble editor’s primary source of employment, Adept Content Solutions in Urbana, can provide your book editing and composition needs. Print or electronic, rain or shine, right now or as time goes by! This entry was posted on Tuesday, July 3rd, 2018 at 12:00 pm	and is filed under C-U Confidential, Education/Classes, Print Matter du C-U. You can follow any responses to this entry through the RSS 2.0 feed. Both comments and pings are currently closed.